Vincent and Elen is a newly built villa in the style of ''OPEN SPACE'' located on the first floor accessible by spiral staircase. For the comfort of our guests we have installed a freight elevator so as to facilitate you with suitcases and anything else you have to carry. The sea front view is very wide and from the veranda you will not only have a fantastic view but you can enjoy a light breeze on hot days. 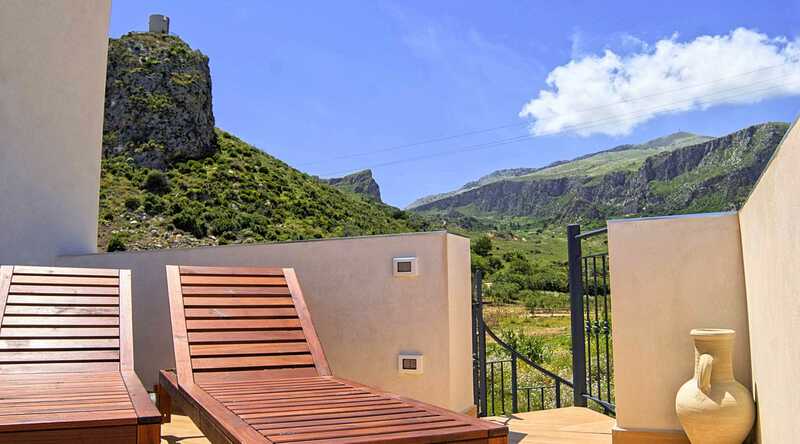 Villa Vincent and Elen is located close to a hill with other nearby houses but always in full relaxation and privacy. 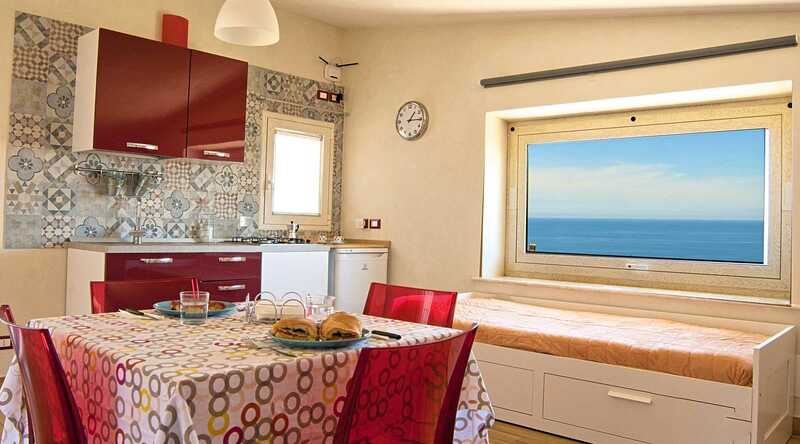 Torre Bennistra is located very close as well as the village of Scopello and all the services such as Bar, ATM, Mini Market and the famous Bakery Scopello where you can eat the bread Cunzatu one of our culinary specialties are located just 150 meters from the Villa Vincent and Elen.